Justin has announced his maiden concert in the country. 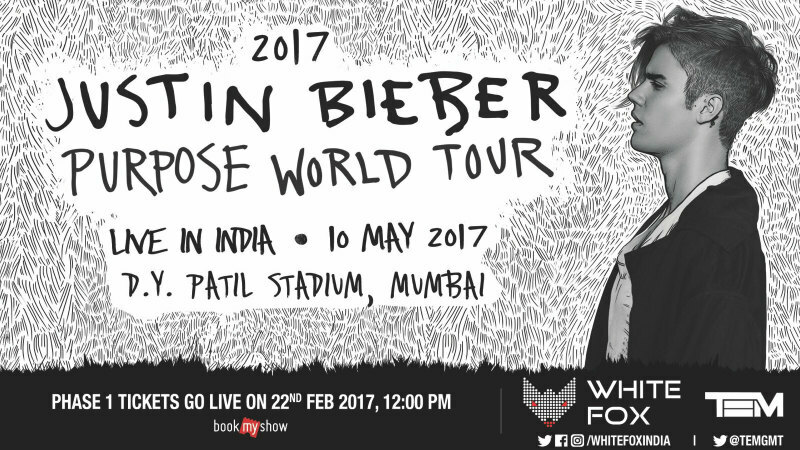 Yes, Justin Bieber will be performing in Mumbai on May 10, 2017. Mumbai is one of the three Asian cities to host Justin’s tour that promotes his 2015 album Purpose that has already sold over 8 million copies worldwide. The other Asian cities are Tel Aviv (Israel) and Dubai (United Arab Emirates). Justin will reportedly fly in with an entourage of 150 people, including backup dancers and choreographers. During his planned week-long stay, the pop star is “excited about doing the typical touristy things” in New Delhi and Jaipur. With more than 100 shows already and close to a million ticket sales globally, the Purpose World Tour has been one of the biggest for him. Tickets to the concert go on sale from February 22, and are priced from Rs 4,000 ($60). Justin Bieber tickets and tourdates schedule! i will show you how much devoted i am yours. you are GOD to me.